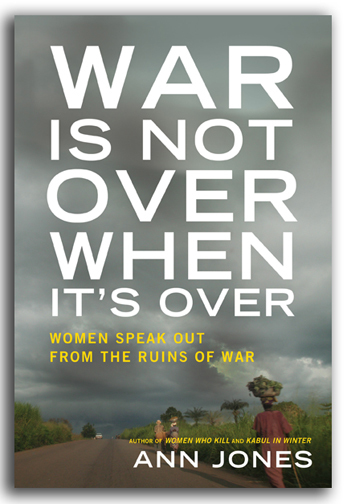 From the renowned authority on domestic violence, a startlingly original inquiry into the aftermath of wars and their impact on the least visible victims: women. In 2007, the International Rescue Committee, which brings emergency relief to countries in the wake of war, sought to understand what women in post-conflict zones really needed, wanted, and feared. Answers came through the point and click of a digital camera. On behalf of the IRC, Ann Jones spent a year traveling through Africa, East Asia, and the Middle East, giving cameras to women who had no other means of telling the world what war had done to their lives. The photography project—which moved from Liberia to the Congo to Burmese refugee camps in Thailand and points in between—quickly became a lens on the true nature of modern warfare and its consequences for the most vulnerable. As Jones hears from Iraqi wives, Karenni widows, and West African teenage girls, the definitive moments of military victory often bring little relief to civilians. Women and children remain blighted by injury, loss, and displacement. They are the most affected by the destruction of communities and social institutions. And along with peace often comes worsening violence against women, both domestic and sexual, inflicted by roving militias, brought home by men returning from the front, and taken up by civilians. Dramatic and compelling, animated by the voices of unimaginably brave and resourceful women, War Is Not Over When It’s Over shines a powerful light on the lives of people too long cast in shadow.